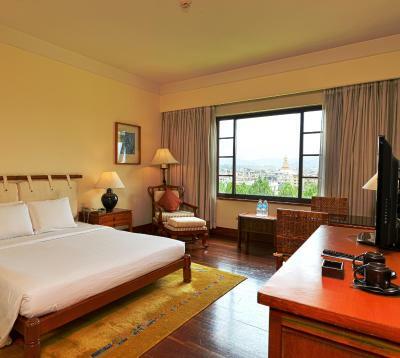 Lock in a great price for Hyatt Regency Kathmandu – rated 8.1 by recent guests! 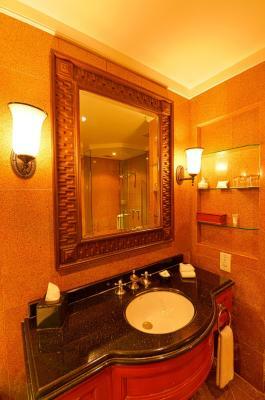 I loved breakfast buffet, Assam tea at Regency Lounge, replica of Swayambunath site inside the hotel, spacious rooms & bathrooms & public spaces, as well as lush gardens that are both modern and traditionally designed and decorated. Well done!!! Mr Basanta, Mr Raju, Ms Sunita, Ms Tshering at restaurant have the best smile, kindness and helpfulness. Ms Promiksha, Ms Nitya at reception were very helpful and kind. Thank you. It was comfortable and cozy place to stay after a 10 day trekking in the mountains. I love the gardens, property features, staff members. 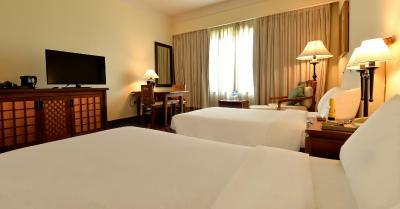 Mr Sanu, Mr Prabin, Mr Ajay, Ms Sabina at front desk allocated me to a guest room that exactly meets my needs. I am very grateful. Ms Srijana, Ms Rushna from housekeeping made my stay very enjoyable. Location. Staff. Food, excellent. Im in love with this place. Will surely come back again with kids. I absolutely love this property and people working here. Supreme traditional Nepalese exterior & interior architecture of property, excellent care & gestures of staff, spaciousness & cleanliness of room and resort, variety & deliciousness of food, exquisite landscaped large gardens, prompt service of guest services, convenient location & walking distance to stupa, organic vegetable gardening & grapefruit trees & large variety of tree plantations, complimentary bottled spring water, mountain views over swimming pool, daily insence offering rituals & traditional live Nepalese folk music, polished floorboards & marbles throughout, Nepalese ponds with running water, endless choices of buffet dining. It could not have been better. It’s heaven. Kind, helpful, friendly staff, people working there. All very good. Best experience. I love it. I'm very happy about it. Good location. Nima, at reception very helpful, kind. All people very kind, nice. room view was beautiful. best location. I liked the tradition music in the lobby at night. beautiful gardens and terrace. The service rendered by your check-in counter was excellent. A special thanks to Ajay. Terima kasih!!! 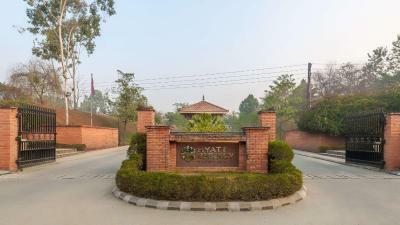 Hyatt Regency Kathmandu This rating is a reflection of how the property compares to the industry standard when it comes to price, facilities and services available. It's based on a self-evaluation by the property. Use this rating to help choose your stay! 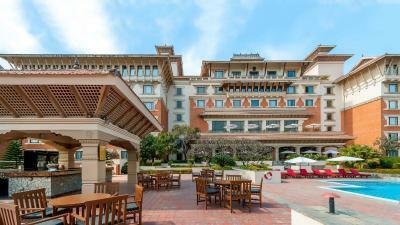 One of our top picks in Kathmandu.Featuring a 24-hour front desk and a large outdoor swimming pool, the Hyatt Regency Kathmandu is located just 0.8 mi from the famous UNESCO World Heritage of Boudhanath Stupa. 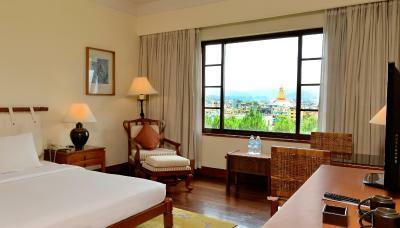 The property is located 4.3 mi from the famous tourist destination of Thamel. Kathmandu International Airport is located 2.5 mi away. 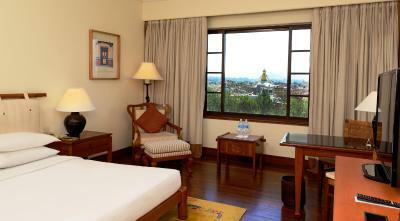 The Hyatt Regency Kathmandu offers a spa, a fitness center and a steam and sauna room. Complementing these is a massage center, a picturesque garden. Guests can also seek travel related assistance at the tour desk. 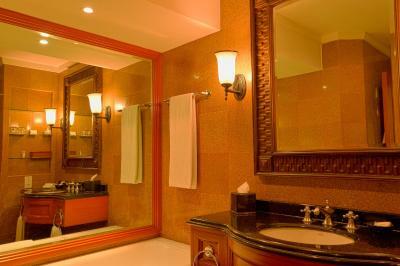 Air-conditioned rooms feature heating facilities as well and are equipped with a work desk, wardrobe, electronic safe, seating area, mini-bar and a satellite TV. 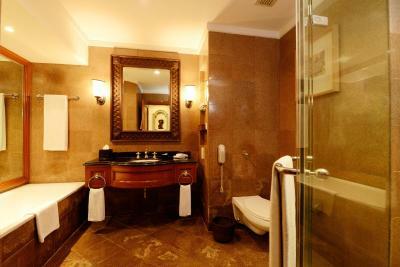 The private bathrooms feature complimentary toiletries. Dining options include the Rox Restaurant which features South European flavors. The Café offers local and International cuisines. 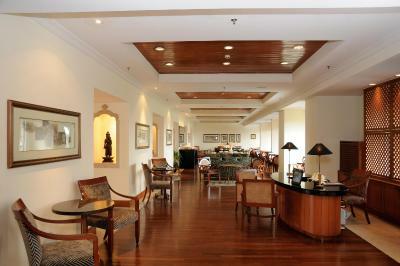 Refreshing beverages can be enjoyed at the Rox Bar and The Lounge. Room service options are available throughout the day. 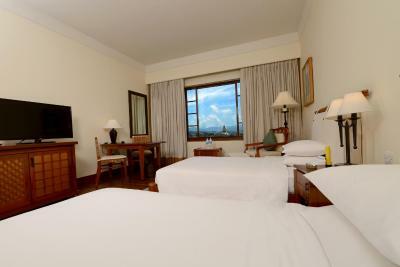 When would you like to stay at Hyatt Regency Kathmandu? 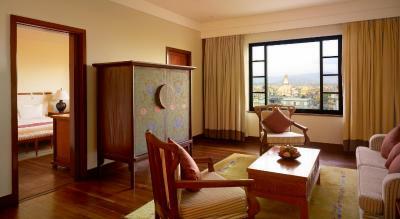 Hyatt Regency Kathmandu is an oasis amidst the commotion of Kathmandu, a sanctuary for the mind, body and soul. This premier urban resort hotel offers panoramic views of the world-famous Boudhanath Stupa, a UNESCO World Heritage site and the most holy Buddhist shrine outside of Tibet, and the surrounding mountains. The rooms are spacious and elegant with large windows, high ceilings and wooden floors, all highlighted by hand-woven Tibetan carpets. Each room features a spacious private bathroom with a separate walk-in shower, as well as a large work desk with Internet access, cable television, an in-room personal safe and a well-stocked private bar. 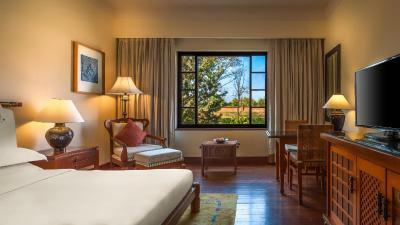 House Rules Hyatt Regency Kathmandu takes special requests – add in the next step! 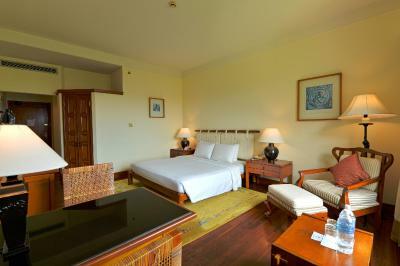 One additional older child or adult is charged USD 35 per person per night in an extra bed. 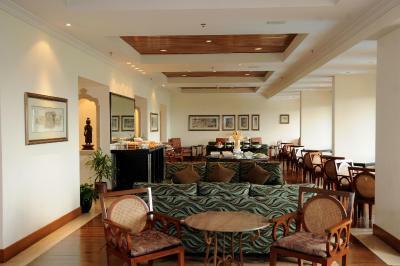 Hyatt Regency Kathmandu accepts these cards and reserves the right to temporarily hold an amount prior to arrival. The space and the restaurants there at the hotel are great. Love the helpful and attentive staff as well. For the price paid, this is a great stay for me. Great facilities and staff. Attention to detail. Excellent in every way. A bit far from the business/ shopping area. Some o the equipment was very old ( telephones) and for some reason I could not access the wi-fi which did not bother me too much because I had a roaming plan that permitted me to do everything I needed. The WiFi didn’t work well. Some days it didn’t work at all. The staff were great. And the rooms were clean. Breakfast could have more fresh fruit. The hotels driver waited patiently for us while we spent a lot of time stuck in the immigration queue. Thank you. Nice staff. Our room had twin beds, and both the mattresses were very firm. Softer ones would have assisted a good night’s sleep. The buffet breakfast provided a wide selection of alternatives and Asian cuisine as well. 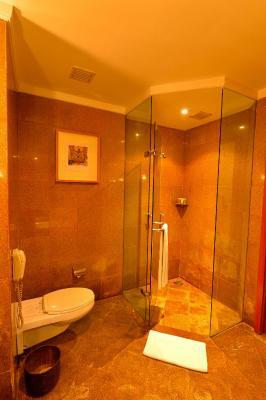 The bathroom design could have been better for practical purposes. The greenery around the hotel. The jogging track. The room was clean and comfortable. The single bed is wider than in most hotels.